Are Hallucinations something real or fake ? Those who have it feel that they are real, but others think they are fake. Apart from medical community, some people have created a completely distinct theory of watching ghosts or souls in the name of hallucination. Before we put some light on the topic of hallucination, you must know the difference between real and fake. Whatever we see, if others agree with the same view then it is real, but if others don't see what we see then it is fake. However this definition sometimes gets wrong. This article will change the way you think the reality is. We are slave of our senses ! Brain is a super computer, analyzing all sensory information to create a video with sound, smell and 3D view. Our brain integrates the input that it get through eyes, ears, nose and combines these sensory inputs to tell us about conditions outside body. Actually it is our brain that creates the images, as our eyes are just a machine to transfer the light information from outside to our brain. There is a huge processor in our brain that analyzes that information. Our brain can cheat us very easily ! Our brain is not just a processor, but it has also got a very large hard disk, which is beyond your imagination. Every image, every sound and every smell stored in it can be utilized by it. Even a slight smell of something can make you remember a dish that you ate decades ago. That is the power of brain, which can easily cheat us. Sometimes our fear can make brain create projections of unreal things in the real life view. Just as an animated character interacts will actual actors in a Hollywood movie. What type of characters it can make depends on your imagination power. Our dreams are also hallucination! Yes, it is true. Our dreams are also hallucination, the difference is just that we watch them while sleeping. In our dreams we rarely suspect that it is fake. During dreams our brain creates a full HD video of events and sometimes we even remember the details after waking up. Dreams make full usage of brain database to create scenes of our interest or our fear. It can make you fly with your arms as your wings and make you jump as if you are doing it on moon. It can also create dangerous creatures that you have never seen, with teeth of a lion, face of a man, feet of a horse and tail of a monkey. You may want to know some amazing facts about sleep and dreams. If we watch dreams with open eyes and we can't distinguish the difference between real and unreal then it is hallucintion. People often misunderstand hallucinations as watching a ghost, whom only they can see. Instead of falling prey to such thinking, one should consult a psychiatrist or a neurologist to get the cause diagnosed. Some of the most common causes are listed below. Illegal Drugs : Some illegal drugs can create hallucinations, which are so strong that some people jumped from balconies believing that they can fly. Some legal drugs: Even some legal medication used to treat conditions like parkinson’s disease, depression, psychosis, and epilepsy can cause hallucination. Lack of sleep : Enough sleep is a basic necessity of our body. Continuous lack of sleep can make our brain work in an unexpected way, which can create hallucinations as well. Sleeping too short or too long can affect your health. Mental Illness: Disease like Schizophrenia, dementia, and delirium can cause hallucinations. Some trauma : Some horrible event in real life can sometimes make brain create hallucinations of such even again. Withdrawal Symptoms: Some heavy addicts of alcohol when trying to withdraw it can face hallucinations as a withdrawal symptoms. Treatment of Hallucination depends on the cause, so finding an expert can get you a better treatment for this medical condition. Sometimes people misunderstand some diseases as hallucination. 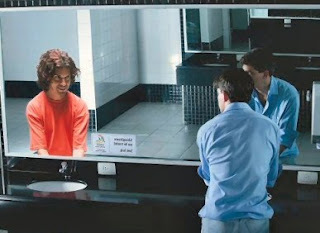 There is one such disease named Prosopagnosia, where a person can't remember faces, and the worst thing is that sometimes the patient standing in front of mirror don't recognize himself and treats himself as someone else (most probably ghost). Do Mathematics Improve your Brain Capability ! You must have heard that mathematical puzzles improve your brain. A number of people even try it in their daily lives. But does it actually help ? Do mathematical puzzles really improve your brain or it is just a myth. Some people believe that you can't do maths beyond your brain capability. Here we will try to find that what is the truth behind this phenomena. Math is root of many other subjects and it is used widely in every scientific study. Physics, Chemistry and Computer Sciences need basic knowledge of mathematics. Being good in maths can get you good grades in other subjects as well, but the opposite is also true. Solving maths puzzles and equations stimulates our brain. But up to what extent it improves brain is being researched. Good thing about maths is that if you are interested in it, then it can be your friend and entertain you for hours. Those who like to solve mathematical puzzles know what i am talking about. Even a sudoku puzzle can make hours flyby. Some researches have found that maths can improve your logical skills. But it improves it especially during the school days. Kids can reap the best benefit out of it. Adults can also get those benefits only if they have interest in it. Solving maths puzzles just to improve your brain, without any interest in it, wont help you. How much you enjoy maths matters the most. Taking it as can burden can cause adverse effect and cause stress. A few years ago people used to think that video games are better exercise for brain as it stimulates the brain eye cordination. But now researchers have found that even simple mathematical problems can stimulate both left and right hemispheres of the frontal lobe, which is far better than any video game. left hemisphere of our brain is used for methodical stuff like maths, while right hemisphere is used for creative thinking. 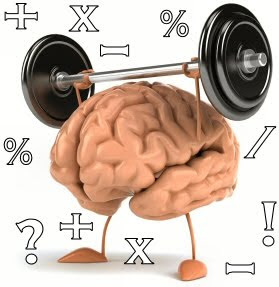 Solving maths problems stimulates both portions, thus exercising a wide part of brain. It means that maths can improve your creative ability, which is a necessary quality of an advanced brain. Some experts believe that indulging in mathematical activities at an elder age keeps you away from ageing related degradation of brain. It also improves you ability to manage money and other household work. So if you want to keep your brain young at an elder age, then keep solving mathematical puzzles (but with interest). Mental exercises are somehow different from physical exercise. We can't stimulate neurons in our brain with physical stimulation, instead we need something logical to work upon to stimulate them. Just like stimulation of muscle cells improves physical strength, similarly stimulation of neurons improve the way our brain works. Algebra, Statistics, Probability Calculations and Geometry are some of the famous branches of mathematics. If you try to find, then you can easily find something of your interest. Mathematical puzzles are available in all these branches. If you try to solve them, then most probably you will find something to get interested. Just like color blindness, where one can't distinguish colors correctly, face blindness is a condition where one can't distinguish between faces. It is a type of autism known as Prosopagnosia or facial agnosia. There is no defect in the eyes of people suffering from this disease as they can see objects perfectly, but just can't recognize faces. To understand this fact, just ask yourself if you can distinguish between faces of two monkeys of similar stature. Most probably the answer will be no, as your brain is not designed to distinguish their faces. Similarly some people can't distinguish between human faces as some part of their brain don't process that information. How do our brain recognize faces ? Our brain analyses and stores the information about different facial features, such as nose, eyes, color of eyes, cheeks, skin color, hair style, color of hair and then store all of that information as set to recognize a face. Even voice of a person is stored with its face in our brain to recognize him / her. Even if some features don't match next time due to makeup, haircut or hair color then our brain use remaining features to match the face with stored faces in its database. We even use this feature to recognize blood relatives of a person. For example sometimes you can easily distinguish if a kid is son/daughter of a particular person just by looking at his/her facial features. Some people come to know that they are suffering from Face Blindness only when they read about it in any science journal. Suddenly they realize that they can't recognize faces of characters in a movie or faces of their co-workers. Do people suffering from Face Blindness, use voice to recognize people ? However you may find it possible, but people suffering from Prosopagnosia (Face Blindness) find it difficult to recognize voices. Inability to recognize voices is called phonagnosia, where one person can't distinguish between familiar and unfamiliar voices. It is because the portion of our brain which recognizes our faces is also responsible for voice recognition. 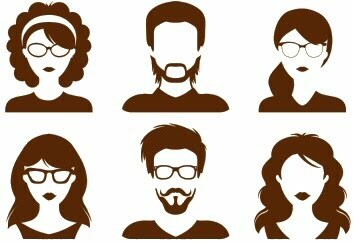 According to a study one in every 50 is suffering from Prosopagnosia. The severity of condition may vary. Most of them remain unaware that it is a medical condition and feel that their memory is getting weak. How does Prosopagnosia occur in some people ? The problem of face blindness either occurs in the childhood or occur as a result of brain injury or trauma. Sometime an unrelated brain surgery can also also result in prosopagnosia. Researches are still going on to find if face blindness is due to lack of some connections or due to inability to use connections that are available. Fusiform gyrus is a part of brain held responsible for face blindness. Clotting of blood in this area of brain during a stroke can also result in face blindness. People suffering from Face Blindness often live in fear that some important person in their life might feel unimportant, if he/she don't get recognized by him/her. Several other social consequences can occur as result of non-recognition or mis-recognition. How do people suffering from Prosopagnosia distinguish people ? People suffering from Prosopagnosia use alternative ways to recognize people. The take help of hair style, walking style, body language, height and clothes to identify a person. Worst part of Prosopagnosia is when you mistake yourself as someone else in mirror, and then realize after sometime that its really you. When it comes to treatment, sometimes it may get resolved on its own but sometimes don't. If it doesn't then you may need to find some alternative ways to recognize a person. Note: Prosopagnosia in kids often results in shy behavior as they find themselves unable to recognize people. Do we really use just 10% of our Brain ? Myth vs Fact ! A number of people believe that humans just use 10% of their brain on average. Those who have have higher IQ might have crossed this average percentage. A normal person world easily believe this theory, as we have a tendency to believe in super humans with super intelligence, and it is not possible if all of use 100% of our brain. Else there will be no difference between a normal person and Albert Einstein. But the truth about this theory is totally different. Do we really use just 10% of our Brain ? 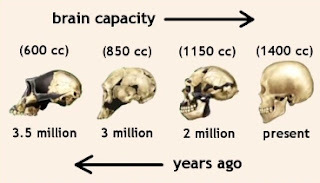 Homo Sapiens (or today's Man kind) is made after evolution of millions of years. In this process of evolution we got some new abilities as per necessity and also lost some feature if they were of no use any more. We are still evolving today but the it is not visible in one generation or two, it takes thousands of years to notice any visible effect. Today we have a perfectly balanced body and every organ has a use according to present environment. If you believe this theory then you must agree think twice before agreeing to "10% of brain" theory. How may we get a brain 10 times the necessity. It is simply a wrong fact. Those who found it, either did some wrong analysis or believed in the fact that we are successors of some alien species that came to earth a long time ago and we are yet to know full potential of our brain. Real Science is that that believe on facts, not on any preconceived notions. 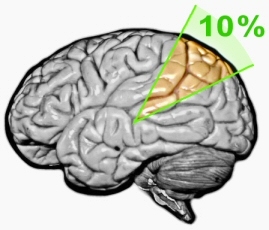 A number of people keep believing in the 10% of brain theory without questioning it. From where do we get this 10% of brain theory ? Before we answer this question you must know that The Michael J. Fox Foundation for Parkinson's Research did a survey in 2013 and found that 65% Americans believe that just 10% of our brain is used by us in a lifetime. However now this brain usage percentage has increased to 35% in some cases but still this myth is surviving and will not come to an end anytime soon. Harvard psychologists William James in 1890 told audiences that people only meet a fraction of their full mental potential, which was taken as a plausible clause by educated people of that time. In 1929 a book "Mind Myths: Exploring Popular Assumptions About the Mind and Brain" was published which contained a chapter on 10% brain myth. In 1936, American writer Lowell Thomas added a falsely precise percentage and said that Professor William James used to say that humans use just 10% of their brain. In the 1970s, psychologist and educator Georgi Lozanov proposed a teaching method called suggestopedia with a belief in its base that humans use just 5 to 10% of their mental capability. Some people also believe that in late 19th century and beginning of 20th Century when early brain researches were going on, scientists were unable to find the functions of a large part of brain. It lead to a misunderstanding that only 10% of brain is used by humans. Today the truth is known that 100% brain is used during a day. However it is possible that during one particular task only 10% brain is active. But a large percentage of population still thinks that we use just 10 to 35 percent of our brain. Facts that will make you believe that we use 100% of our brain. The very first fact is that we evolved and got only that much capability which is necessary. 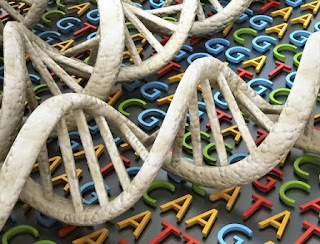 Getting a brain with 10 times of normal capability is something unnecessary and impossible to develop under the normal biological process of evolution. Death during childbirth was often associated with large skull size. 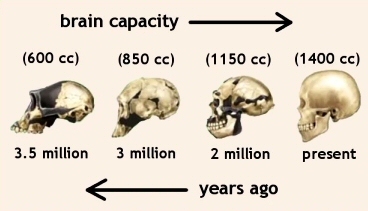 If our brain is really unnecessarily large then we should have lost it by natural selection and mortality rate during child birth would have been less. Every person with a brain damage (either accidental or stroke) always loose some capability due to loss of a part of brain. However some lucky people may get their lost capability back due to neuroplasticity if the that was not a major brain damage. Some recent researches based on brain scans confirmed that all parts of brain remain active all the time. Some parts remain more active during a particular task, but we can't take any part of brain as non functional. Every part of brain has got a function, either physical, mental or emotional. Some parts of brain just handle our internal metabolism. 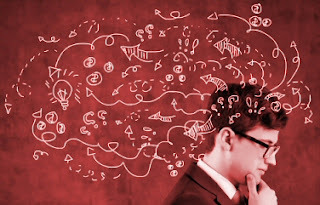 All functions of brain are really very hard to know as some of these parts make us think, make us dream, make us plan. Our brain can take us to a scene decades before and can also make us think of that future when we will not be here. Whatever we look, we are much more than that. The fact that we don't utilize our full potential is true, but nature has granted us with power to do much more in our life with a brain of three pounds. After reading this article you must stop believing that extra 90% brain can give psychic powers to you some day which is falsely advertised in a number of sci-fi movies. Your views on this article are most invited in the comments section. You won't be same after reading this. Nature has granted us with a immensely powerful computer fitted in a very tiny space with very less power consumption. You can't even utilize its full capability in several lifetimes. The more we use our brain the more it learns and become more efficient by practicing the same task again. If you want to know the power of your brain compared to modern computers in a terminology that you understand then read this complete article. What is there in our brain ? Our brain have 80 to 100 billion neurons. Same amount of Neuroglia, also called glial cells. These cells protect and insulate neurons, provide nutrition, remove dead neurons and destroy pathogens. Neurons are found in 26 different sizes. Size of neurons varies from 4 microns (.004 mm) to 100 microns (.1 mm). Their length may vary from few millimeters to few feet. 400 miles of Capillaries to provide blood and nutrition to them. Each neuron makes 5000 to 10000 connections with other neurons. So there are 500 to 1000 trillion connections in our brain. Even the best computer in world can't reach the capability of brain. However you may not fit a pendrive in your skull to store some movies in it, but your brain can remember things faster than any super computer. The memory of our brain has the capability to store much more data than any super computer on earth till now. 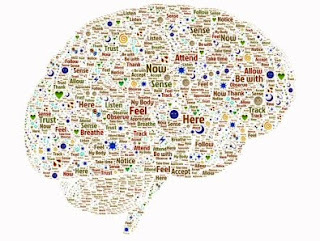 Memory Capacity of Brain: According to Paul Reber, Professor; Director of Brain, Behavior, & Cognition at Northwestern University, our brain can store upto 2.5 Petabyte (which is one million GB). This much memory is enough to play continuous video on TV for 300 Years. Processing Speed: A neuron can fire upto 200 times per second. For 86 billion neurons it makes 17.2 trillion action potentials. According to Dr. Joe Dispenza, Neuroscientist, our brain processes 400 Billion bits of information per second, but yet we are aware of 2,000 only. All of our senses send 11 million bits of data per second to the brain but it can process only upto 60 bits of data per second. It is possible only if you compress 11 million bits into just 60 bits (just like we make zip files in computers). Such compression technology is not yet possible for man made computers. Power consumption: If we use the same memory as our brain and same processing speed in a computer then it will use 1 gigawatt of power, which will need a nuclear power plant. But when it comes to our brain, it uses less than 20 watt of electricity in the form of electrical impulses between neurons. Our brain is just 2% of our body weight but consumes 20% of our calories and 25% of oxygen. In resting state our body needs 1300kcal of energy which is equal to 63W of energy. 20% of this consumption is just 12.6W . So 12.6 watt can be stated as power consumption of brain. This much efficiency is impossible to imagine in any man made machine. Serial Processing and Parallel processing: Some researches found that our left brain do the serial processing tasks while right brain do the parallel processing tasks. These fasts will make you believe more in superiority of human brain compared to any computer. Cognitive Reserve (brain's cache memory): It increases in size with a person keeps learning new things all over his life. When such person takes rest from busy life after retirement, his or her cognitive reserve remains same and his efficiency in mental tasks remains much better than the people of similar age group. Neuroplasticity: It is a feature of our brain to learn new things and repair its circuits in case of a damage due to accident or stroke. Previously it was thought that brain can't repair it self after a certain age, but now we know that brain can repair itself through neuroplasticity. A computer can be programmed to do one particular task much better than a human brain. For example a supercomputer can beat a chess grandmaster, but the same supercomputer can't store visual memories, language skills, cooking skills, thinking ability and most important emotions. Human brain is a capable to control the human body to do any physical or mental task or a combination of both. So these two things are not comparable at all. Man often try to challenge nature, but nature is something to be known, not something to beat. We need to learn a lot from the nature. Thats why we call it mother nature. Previously it was believed that brain develops only during childhood and no changes can occur inside brain after reaching adulthood. But now this concept is found wrong after we found about "Neuroplasticy", an important feature of human brain to makes changes in its circuit according to the needs of a person. It not only helps in learning and mastering a skill but also in recovering from a brain injury. 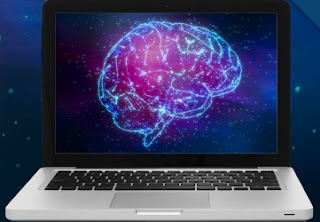 Once you read more about neuroplasticity, you will be amazed to find that you have got one of the most amazing self-learning, self-repairing and self-cleaning computer in your brain whose learning and remembering power is much more than what you think. Our brain is huge collection of neuron cells. These neuron cells make connections between themselves, just like a circuit in an electronic chip. Different circuits are made and dedicated for different tasks. The more you need a circuit, the more easily accessible it becomes. What ever you learn intentionally or unintentionally is stored in your brain and is recalled when necessary. The least used or unnecessary memories either remains least accessible or some other circuit is formed using those neurons. The more you use a circuit, the more powerful and efficient it becomes. A mathematician can do complex calculations just by using his brain while a normal person world need calculator for that. But the same mathematician may not play a guitar, while a professional guitar player can do magic with that. Some skills need just our eyes, mouth and brain while a different skill need coordination between our ears, hands and brain. Different circuits in brain are developed and made efficient till we remain alive as per our daily needs. 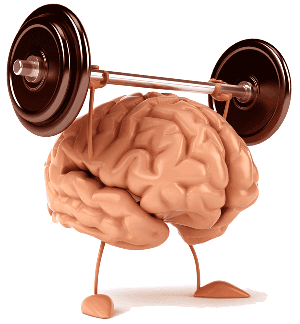 How to utilize neurolasticity to keep your brain fit ? You must have heard the proverb "Practice makes a man perfect". It implies perfectly on your brain. The more you work with your brain, the more efficient it becomes. Its learning ability increases with its usage. It makes you more efficient in a task, if you practice it several times. You can become a master of any language, any subject, any dance, any music, anything just by practicing it. The more curious you remain all over your life, the better brain you will have by the time your life will come to an end. You attitude towards learning new skills will only help you at an old age. Those skills that you learn in your life might not always help you in your life, but they will exercise your brain. Your brain neurons or the circuits won't get rust and they will be used whenever necessary in your life only if you keep using them. Stress can kill neurons and the connection between them can also be damaged. So it is necessary to remain out of depression and stress. It is possible with a good lifestyle, balanced diet and learning attitude. Too much thinking about negative topics of your life can make you depressed or stressed. Try not to fall prey to depression by keeping yourself busy at such times. The neuroplasticity feature of your brain can be paused or damaged by depression or stress. Due to the same reason you can't learn new skills if you are in stress. How neuroplasticity help you recover from brain damage ? 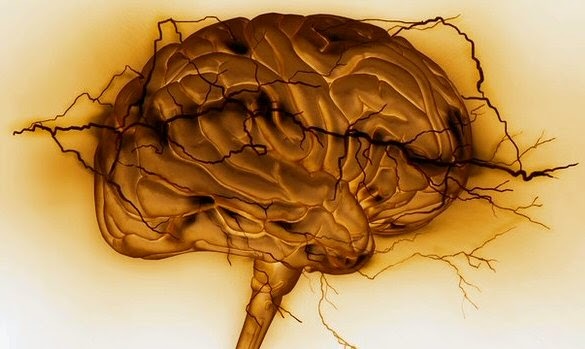 Sometimes people loose some of their brain functions due to accidental damage or medical conditions like stroke, which damages some neurons or the connection between them. Some of these brain functions might be recovered through neuroplasticity. It happens naturally with a little patience and practice. When we practice again and again, our brain makes a new circuit with the help of remaining neurons for that lost function. It can happen only if there is no damage to the target organ and the nervous system. Nature has granted us with enormous possibilities, we just need a little dedication and practice to make ourselves perfect for any task. Usually we think that exercise are only meant for our body. But do you know that physical workout is also beneficial for your brain. Physical workout not only increase the blood and oxygen supply to muscles in the body but also to the brain. It increases the memory retention power of brain. Always remember that a healthy brain resides in a healthy body. Here we are going to mention some easy tings that you can do exercise your brain. These exercise don't include dumbbells, but some thing that we do in our daily routine and make our brain strong. These exercises increase our memory and thinking skills. Here are some brain exercises. Sufficient and proper sleep recharges your brain. If you don't sleep properly then your brain can give the optimum performance. Healthy Relationships makes your brain happy. And a happy brain can work better. Its just like being tension free. You might have noticed that you work better when you are tension free. Our relatives and friends are sometimes major cause of our tensions. So try to have healthy relationships with family and friends. Fruits and Vegetables contain various minerals and nutrients which are essential from brain growth. These minerals are not present in other food items. Vitamin B helps in taking oxygen to our brain and protects our brain from free radicals. Various types of Vitamin are responsible for various brain activities. Vitamin B 3 for Brain Enhancement, B 6 for manufacturing of neurotransmitters, B 12 for overall health of Brain. Omega 3 Fatty Acids are also known to be beneficial for brain health. Laugh at Yourself, it reduces your stress level. However you can laugh at any thing (its always better). Personally i have subscribed to a comedy channel. Laughter reduces stress and helps your brain in thinking better. Meditation is known as best natural way to increase your brain power. Some meditation experts say that normal person use only 13% of its brain. But this percentage can be increased by meditation, which results in improvement in all types of skills. Red wine contain antioxidants and chemicals that protect our brain. 1 glass daily for women and 2 glass for men is a good amount for your brain. If you want to cry then do it when you are alone at your own place. Good crying also heals your brain and improves blood circulation in your brain. This thing include a number of things. You should visit other cities and have fun after every six months. You may also take different routes to work. Go on a long drive whenever you feel bored. Don't go to same restaurants every time. Chane the furniture settings in your house. Brain is the most important part of body. It controls the whole body and regulates the organs and complete metabolism inside our body. Even if a part of our brain stop working properly, it will result in some disease or complete failure of some organ. Some of our daily activities do harm our body. Most of us do these activities unintentionally. We should try to stop doing these brain damaging activities. Missing a breakfast means lower blood sugar at the beginning of the day. Due to low blood sugar lesser nutrients reach our brain which results in brain degeneration. If you skip breakfast regularly then you brain might be great risk. When we eat blood and oxygen supply to our stomach increases and its reduced to other parts of body. Its also reduced to our brain as well. As long as we eat and the time till its digested, our brain activity is lowered. That the reason that we feel sleepy after having a heavy diet. But we don't always get an opportunity to sleep after a meal. If you use your brain after having a heavy diet, you are damaging your brain. Thats why over eating is dangerous for your brain. Over eating also hardens your brain arteries and damages the brain. Both Smoking and Air Pollution reduced the oxygen supply to our brain, which is a major oxygen consumer of our body. It results in shrinking of some parts of brain and may also result in Alzheimer's Disease. When sugar level is high in our body, then our body organs and brain can't absorb the proteins and other nutrients from blood properly. Thus consumption of high sugar interferes with the brain development. hours sleep, then you are damaging your brain and will start loosing memory sooner or later. Our brain cells start dying if we don't sleep properly. This habit reduces the oxygen supply to our brain while sleeping and results in brain damage. Even if you use to have a better sleep by taking the sheet over your head, just try to get rid of this habit. You might try to use something to cover your eyes only. If you use your brain during sickness you will help it in damaging it. During Fever or Sickness our body consumes the most of the oxygen and other nutrients to fight with the disease. You brain is already in lack of oxygen and other nutrients at that time. If you use brain at that time then your will damage it. Intellectual talking is like an exercise for our brain. As unused machines get rust, similarly unused brain also degrades. So we should do intellectual talking to sharpen it. Thinking also improves our brain. But lack of thoughts may also help in degrading its performance.